When it comes to working in a warehouse or distribution center, you need a device that is designed with industrial users in mind. 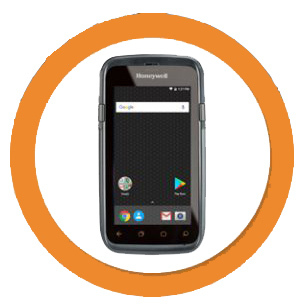 The AML Scepter features an Android operating system, barcode scanner, and a 5 inch gorilla glass screen that helps you to advance in your operations. This industrial-grade mobile computer provides excellent performance for applications such as inventory counts, receiving, stock put aways, order pricking, and work in progress tracking. Access from a remote desktop to control applications and run processes via remote desktop connection. Track raw materials through the manufacturing process and know what stage in the manufacturing process it is. 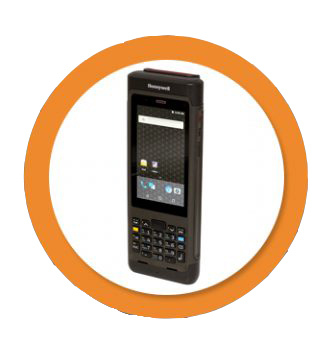 Upgrade your handheld mobile computer to improve warehouse operations! 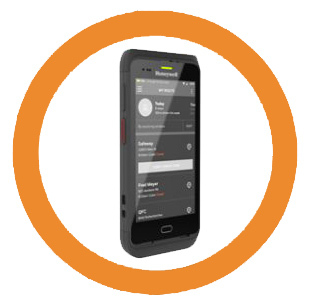 Contact Barcodes today and learn how the AML Scepter mobile computer can help you increase efficiency and productivity on your floor. When working in a busy and harsh environment, you need an industrial printer that can exceed performance and built with the durability that can last. Introducing the Citizen CL-S700 barcode label printer. It is engineered to generate labels at the quality and speed that you need. 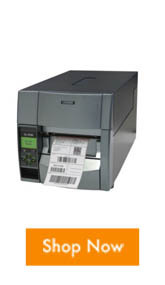 The CL-S700 barcode label printer can print up to 10 inches per second and its all steel frame and cabinet is constructed for ruggedness and reliability. No more unreadable barcode labels, featuring an Active Ribbon Control and Positioning System (ARCP) to eliminate ribbon wrinkling and media slippage, it allows the printer to print high quality labels in every print. The Hi-Lift metal mechanism that opens to a full 90 degrees for easy ribbon and label replacement creates a space saving concept that is ideal for tight spaces that helps maintain a clean work station. The large graphic LCD gives a clear indication of printer status and easy printer configuration allowing easy access to all the print jobs. The Citizen CL-S700 industrial barcode label printer is great for applications in logistics, transport, courier, manufacturing, retail, and warehousing. Watch the video and contact us if you want to learn more about the Citizen CL-S700 industrial barcode label printer and how it can give you the efficiency that you need in your operations. 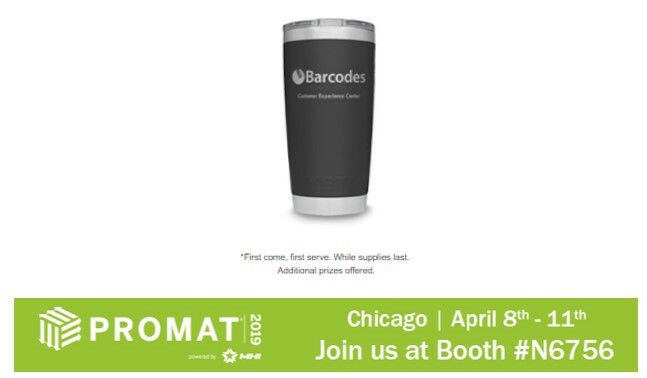 Join Barcodes at Promat, Booth# N6756! We are at Promat! Meet us at our booth# N6756! 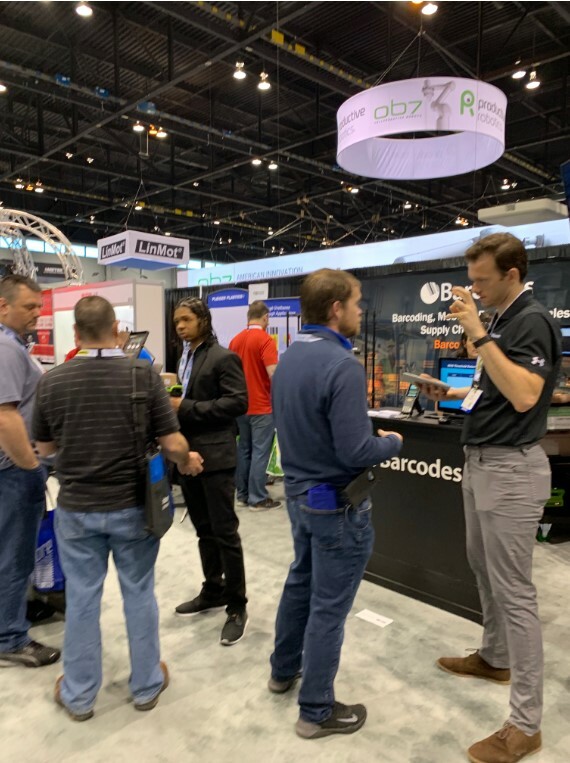 Barcodes is North America’s leading provider of barcode, mobile computing, point-of-sale and RFID products and solutions. With more than 70 product categories for asset management and inventory tracking, we help customers increase efficiency and reduce costs through implementing fast, accurate electronic information flow solutions, customized for any budget or business size. 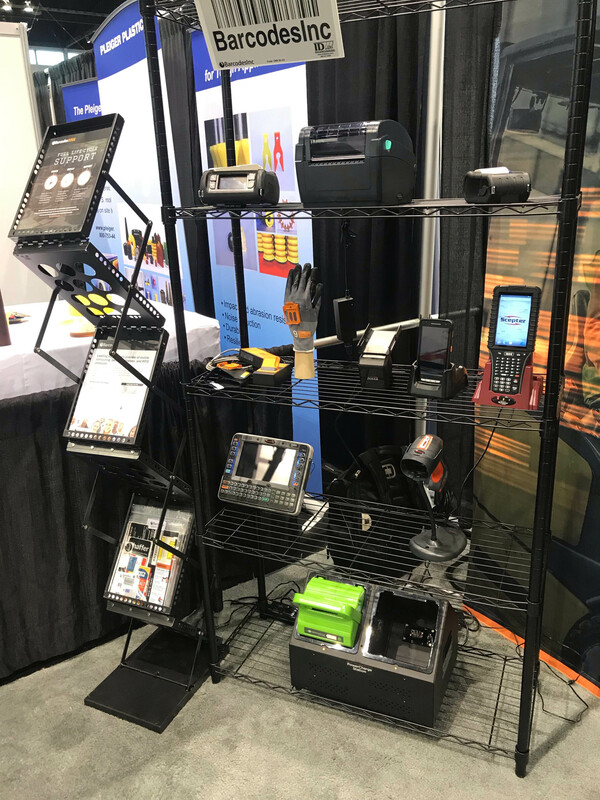 We are showcasing our latest distribution and supply chain equipment and solutions at ProMat! Find your WOW, discover the latest solution to move your business forward. 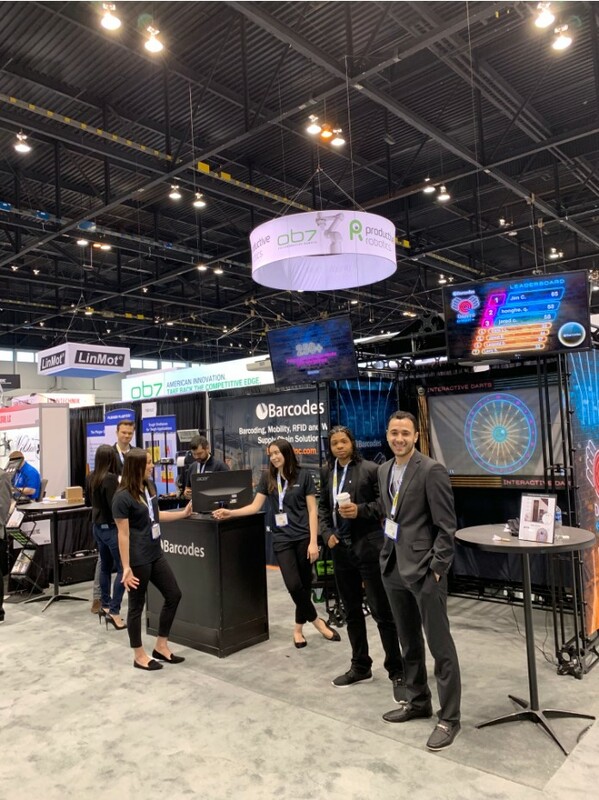 Join us from April 8-11th at Chicago’s McCormick Place to learn all the latest ideas and solutions to drive efficiency and productivity in your workforce. Learn how we can help design, deploy and support your automated supply chain. Visit us at Booth #N6756 and book a meeting and we’ll reserve a giveaway just for you! (while supplies last). Book a meeting with us here. How To Track Returnable Assets to Drive Supply Chain Efficiency? 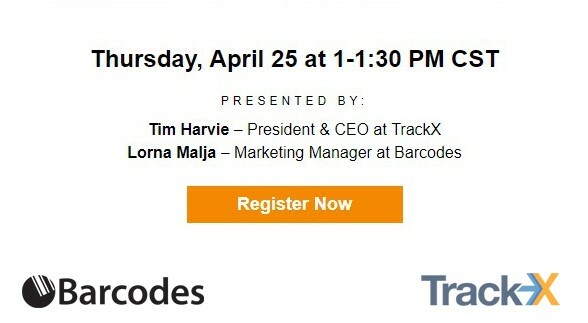 where we will discuss how RFID tags and sensor data can drive business intelligence and improve inventory visibility. P.s. If you can’t make the live webinar, be sure to register anyways and we’ll send you the recording and slides afterwards! Apply the power of RFID (Radio frequency identification) in your retail environment! RFID technology goes beyond barcode scanning. It automates data collection without the risk of human error. With an RFID handheld scanner, you can read tags simultaneously and without direct line of sight increasing efficiency and productivity in a store. All RFID tags within range can be tracked and located immediately to ensure the correct location from supply chain to on the floor. Retailers can have access to product information, item location, availability, item level tracking, stock maintenance to ensure greater efficiency and sufficient supply level to meet consumer demand. Introducing the Alien ALR-S350 Sled RFID handheld reader, it is an robust, simple, cost effective RFID reader that is designed for all day use. Supports Apple iOS or Google Android via smart device you will be able to gain the flexibility and accuracy you need on the retail floor. Unlike competitive sled units, the Alien ALR-S350 RFID reader comes with everything required to begin to use, the kit comes with charging kit, cradle dock, and micro USB cable. 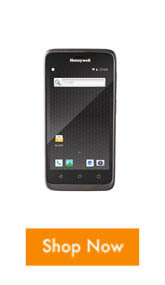 All the user need is the smart phone or tablet device to bring visible information on the go. Manually scanning barcodes or counting products is time extensive, employees must move aisle to aisle, locating items individually. With RFID scanners, workers can read tags as far as 20 feet away and at hundreds of tags per second. 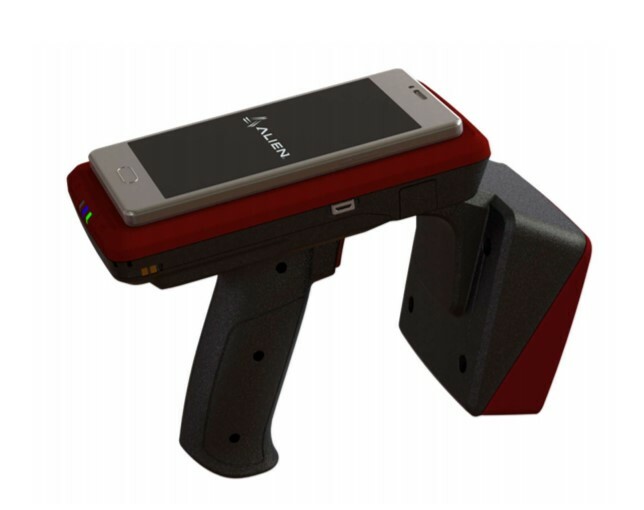 Contact Barcodes to learn more about how the Alien ALR-S350 Sled RFID reader can help you to increase accuracy and gain more visibility in your data collection.